You are here: Home / social media / Facebook / Taming the Social Media Beast!! You know that you need to be active on Social Media, but you’re not sure what to post. Here are some basic rules to follow — and you’ll notice that they spell an acronym! B-E-A-S-T! Keep the beast in mind whenever you post! Social Media is about connecting. For people to want to do business with you, they have to like and respect you! Be yourself. This doesn’t mean to post your every activity throughout the day. Share things you care about, share things that make you smile, share things that show your values. If you want to receive engagement on social media, you need to also engage with your audience. If you receive a comment, reply to that comment; if you receive a post on your business page, reply back to that post. Adding the human touch can help your social media presence drastically. On Instagram or Twitter, use the favorite functionality. Let people know you like their posts or responses. Studies show that engagement increases with the use of emoticons or pictures, so use them! This is shown beneath each post on your Facebook Business Page. If you see low numbers here, you may need to change something! This is a tricky one, and it’s something you will be more comfortable with over time! Facebook and Twitter offer analytics so you can see which posts are doing well, and which ones didn’t go anywhere. My clients create traffic on their website from social media posts. If we see a blog that has a low number of views, we go back and look at the analytics on Facebook. How many people saw that post? Do we need to consider a Facebook Ad? Can we do another post on that same blog to see if we can touch our audience? A story will generate much more positive reaction than trying to sell something. So instead of “you’ll feel so much better if you go to Pilates 3 times per week”, find a story of someone who added Pilates three times a week to their life, and include honest reactions from that client. Share your experiences, and don’t be afraid to share positive and negative. Once again, be genuine. Potential clients probably won’t believe there’s a magic bullet, but if you share stories, you will get them thinking. That’s what you want right? You want them to think about coming in, because eventually, that person will walk thru the front door! Don’t forget the Tags and Hashtags! On Instagram and Twitter, this is how people will find your post! However, hashtags in Facebook add personality and also help people find posts if they are using a search to find content. Tags? You can “tag” people or businesses inside of your posts. When you do this, that post will notify that person that they’ve been tagged, and it will generally show up in the newsfeed of that person and their friends. 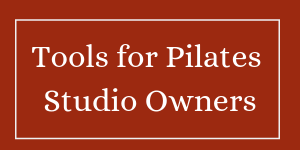 Your client may not tell their friends that they won a free Pilates class at your studio, but If you tag them in the post that tells them they won, maybe those friends will see it, and think about coming in! Facebook helps you tag people, by suggesting tags when you start typing something, or you can put the “@” sign before the name to tag them. It takes time, but if you apply these basic principles, you can tame the social media beast! If you have questions, go ahead and ask them below, and we can chat and get advice from all our readers! Previous Post: « Don’t let your Facebook posts get lost!